Our clients can avail from us a wide gamut of Export Carton Box in standard sizes. These are made by using premium quality raw material and latest technology. Our offered Export Carton Boxes are highly durable and are known for their perfect finish, dimensional accuracy and high holding capacity. These can be availed at a pocket friendly rate and basically used for exporting products. Sarath Pack stepped in the year 1990 as a leading manufacturer and supplier of boxes and paper. We are working as a Sole Proprietorship firm. Basically, we have located our office at Chennai. 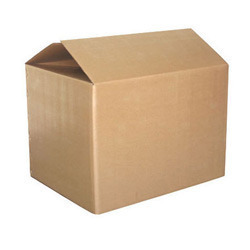 Our company is engaged in offering a wide range of Corrugated Box, Carton Box, Packing Box and Kraft Paper. The products are highly appreciated by our customers spread all around the nation.